Soil conditions are notoriously unstable in Florida. From sinkholes to swamps to flooded riverbeds and more, there are a wide variety of hazards that can seriously endanger your employees, slow down or stop your project, or irreparably damage your equipment. 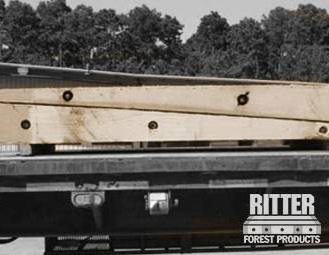 Ritter Forest Products offers a wide variety of crane mat rentals in Florida to stabilize the area and make your workspace safe. 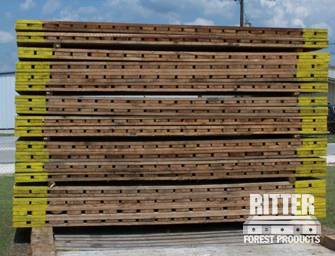 From custom-cut mats to dragline and digging mats, outrigging pads, pipeline skids and laminated timber mats for rent and much more, we have the mats and skids you need to complete your project. 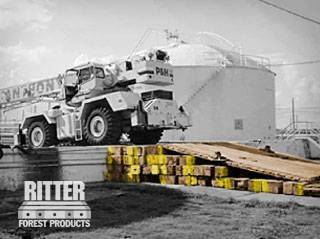 Our skids, pads and crane mat rentals in Florida are suitable for a wide variety of equipment and needs, and we also offer custom-built mats to suit specialty machines and unique applications. 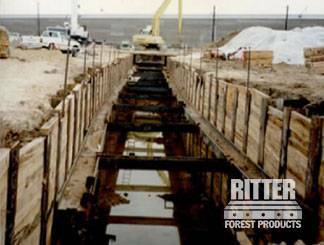 Our laminated timber mats and crane mats for rent are often used in construction, utility installation, mining, transportation and excavation when the underlying soil is not stable or may become unstable. When construction or excavation sites are close to rivers, marshes, streams or the area is affected by sinkholes or otherwise soft terrain, crane mat rentals, skids, and similar products can help to protect your equipment and your employees. Give us a call or contact us online today to place an order or to get a quote for crane mat rentals or other products on your next Florida project.